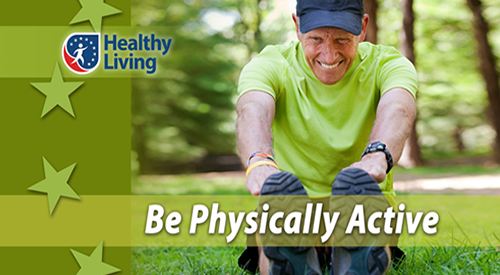 Being active can help you feel better right away by reducing stress and improving mood, focus and sleep. Get a little more active each day. 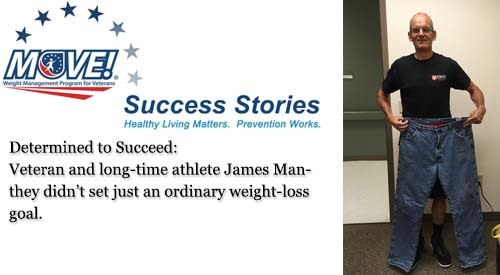 Read Veteran James Manthey's MOVE! success story. 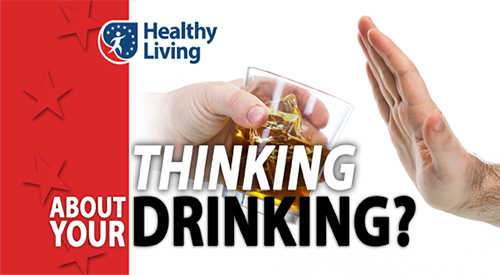 Making informed choices about alcohol use can help you reduce risk of numerous problems and improve your overall health. This site is sponsored by the VHA National Center for Health Promotion and Disease Prevention (NCP) to help Veterans stay "well and well-informed." Health care resources for Veterans and the public are located on this page. You will find information for use to stay healthy. Links to other VA program offices and programs are also provided. Health care resources for clinicians and others in health care are located on this page. You will find information for use in your practice and corresponding information for Veterans and the public. Links to other VA program offices and programs are also provided. NCP Highlights is an annual publication that summarizes the activities and accomplishments of the VHA National Center for Health Promotion and Disease Prevention. Read the latest versions of these publications. VHA Prevention Policies and Guidelines: For more information on these and other VHA publications, visit the VHA Forms, Publications & Records Management website. It’s important to remember that all preventive services have “pros” and “cons.” Learning about possible benefits and harms can help you make the best decision. Talk with your VA health care team about the preventive services that are recommended for people like you. Dr. Welch’s research focuses on the problems created by medicine's efforts to detect disease early—namely, that physicians test too often, treat too aggressively, and tell too many people that they’re sick. Most of his work has focused on overdiagnosis in cancer screening, in particular for melanoma, cervical, breast, and prostate cancer. He is also the author of the books Should I be Tested for Cancer? Maybe Not and Here's Why, Overdiagnosed: Making People Sick in the Pursuit of Health, and most recently, Less Medicine, More Health. Seven Assumptions that Drive Too Much Medical Care.